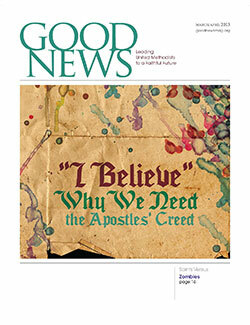 The paper version of Good News magazine is available for a suggested donation of $25. We do not accept subscriptions per se, so in order to keep the magazine coming, we look for a donation at least once per year. Many of our friends and supporters have made the decision to support us monthly and that level of support is deeply appreciated. 800 487 7784 Please make your selections below and click the “Continue” button. You will be forwarded to our secure payment page, where you can complete your purchase. If you would like to request a complimentary copy of our next issue of Good News for yourself or a friend, please click here.